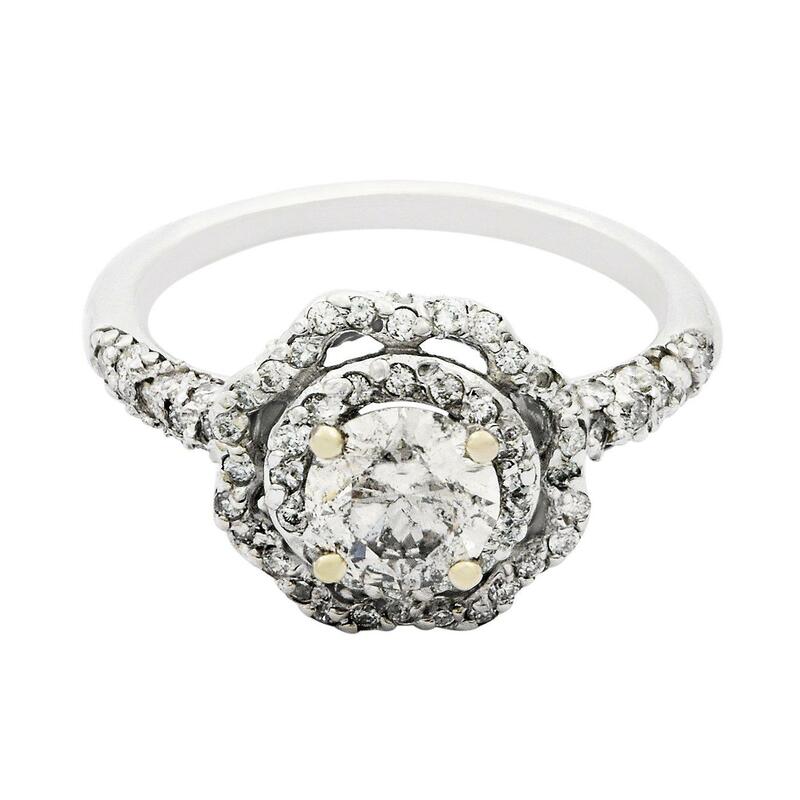 One electronically tested 14KT white gold ladies cast diamond unity ring with a bright polish finish. The featured diamond is set within two tiered floral diamond set bezels supported by diamond set shoulders and a diamond set under gallery, completed by a one and one-half millimeter wide band. Condition is new, good workmanship. One prong set round brilliant cut diamond, measuring 5.90 - 5.80 x 3.50mm (depth est. ), 5.00% GTCF approximate weight of 0.76ct with a medium blue fluorescence. Graded in the setting. Ninety-Four bead and prong set round brilliant cut diamonds, measuring 1.20 - 1.00 x 0.66mm (depth est.) approximate total weight of 94 Stones = 0.46ct. Graded in the setting.